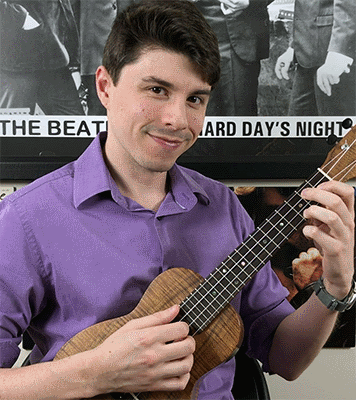 We were honored to interview Andrew, founder of the RockClass101.com ukulele teaching community. Andrew operates the successful Rock Class 101 YouTube Channel with over 15K followers. Hi guys, I’m Andrew and I run RockClass101.com. 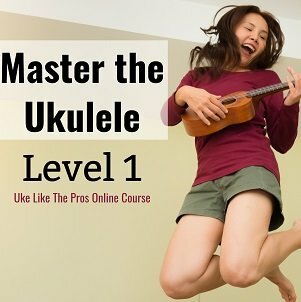 We are an online lessons community catering to the ukulele enthusiast who is passionate about learning to play ukulele. As a child, I used to watch Elvis Presley concerts with my dad. It was one of my favorite things to do! Funny thing was that I never paid much attention to the fact that he was a vocalist, I was mesmerized by the guitar that dangled around his hips. So after asking and begging for quite some time, my father purchased a guitar for me and signed me up for lessons at 10 years of age. But, it wasn’t until a few years down the line when one of my instructors turned me onto Van Halen that I truly became hooked. I spent my formative years locked in my room practicing nonstop. In 2010, I was fortunate enough to attend The Atlanta Institute of Music. The education I received there transformed my playing! It wouldn’t be possible to do the things I do today without what I learned in college. What/who inspired you to teach ukulele lessons? One of my instructors at Music College, Vitali, said something to us one day that I’ll never forget. He said “More musicians should aspire to be teachers, not only rock stars”. To me, his words moved mountains. You see at this point, I had been teaching privately for 4 years. I absolutely loved it and the more I taught, the better I became as a teacher. Fast forward a few years and I realized that I could create a lessons website which would provide a way for me to compose, perform, and teach. 3 aspects of musicianship that defined who I wanted to be and what I wanted to do. Helping people accomplish their musical goals. It’s so rewarding to be a part of their journey; to see them improve and grow as a player and musician. At the end of the day, music is meant to be shared. It’s an honor to help others create music in their life. In 10 years from now, I hope to continue to be a part of the ukulele community. It’s a community unlike any I have ever been apart of. There is so much joy and love in this community; it’s just amazing! 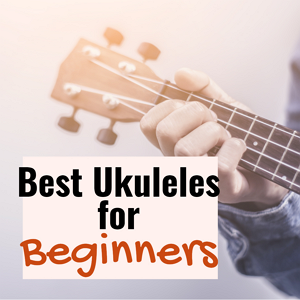 What tips or advice can you give beginner ukulele players? The best advice I can offer is to: Have a Plan. Some of the most common questions I get asked are: “Where do I start?” and “What do I work on?”. These are excellent questions! The analogy that I love to use is playing an instrument is sort of like walking into a gym. When you walk in, you’re greeted by a room full of machines. Which one do you start with, and how do you use it, and how much should you use it? There are so many facets to playing ukulele and overall musicianship, that it raises just as many questions as our gym analogy. To tackle these big questions, I’ve created Learning Paths. Learning Paths is a step-by-step guide in which we will define a starting point, create a detailed list of what to work on, and summarize what to have under your belt before advancing to the intermediate level and beyond.